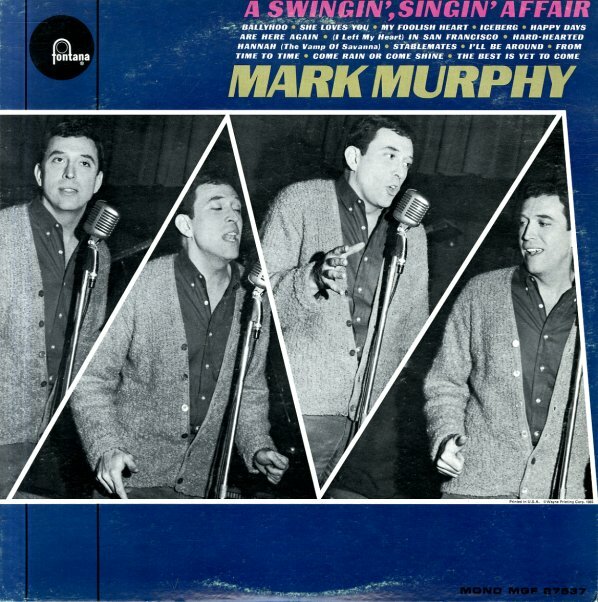 A rare British session from vocalist Mark Murphy – and one of his grooviest albums of the 60s! Mark's working here with great backings from the orchestras of Tubby Hayes, John Dankworth, and Les Reed – all of whom give Murphy some of his hippest grooves to date, very much in the mode of some of his work on the Midnight Mood album cut for MPS during the same overseas 60s stretch. And as with that one, there's a nice selection of tunes that goes way past the usual – and which shows off the widest range of Murphy's groovy vocal talents – titles that include "Ballyhoo", "Iceberg", "Stablemates", "She Loves You", "Come Rain Or Come Shine", "I Left My Heart In San Francisco", "From Time To Time", and "The Best Is Yet To Come". © 1996-2019, Dusty Groove, Inc.